Practical Employee Solutions (PES) has organized a fly-in to support the H-2B visa program. Supporters will spend the day--Tuesday, March 14, 2017--meeting with legislators to discuss concerns about the program. Thanks for everyone who reached out to their elected officials about the H-2B letters that Rep. Harris and Senator Tillis were spearheading. Those letters were submitted, along with a letter sent to DHS by Senators Collins (R-ME) and King (I-ME). If your elected officials signed these letters please reach out and thank them and urge them to continue to ask their party leaders to pass H-2B cap relief quickly as part of appropriations or any other appropriate legislation. If your Senators and Representative did not sign these letters, please reach out again and urge them to ask their party leaders to pass H-2B cap relief quickly as part of appropriations or any other appropriate legislation. Senator Tillis (R-NC) and others plan to send a bipartisan letter to DHS asking the Department for an audit of the H-2B cap count for the first half of the fiscal year and asking that any unused H-2B visas be made immediately available. Rep. Andy Harris (R-MD) and others plans to send a letter to DOL asking it to address processing delays. Both Senator Tillis and Dr. Harris are asking other offices to sign onto the letters by the close of business today, February 28. Please reach out to your Senators about the Tillis letter and your Representatives about the Harris letter and see if they are interested in signing it. If they are, they need to contact either Senator Tillis' office or Rep. Harris' office tomorrow. Find contact infor for your Colorado representatives here . The H-2B Workforce Coalition continues to urge Congress to renew the H-2B returning worker exemption so that seasonal businesses will not be shut out of the H-2B program in the spring and summer. We need your continued to help in urging Congress to act on this critical issue. You can use the provided talking points when reaching out to your Representative and Senators. Congress will be on recess all next week, which means lawmakers will be back in their home states. Many elected officials will have listening sessions or town hall meetings. If your Representative or Senator has a public meeting, please consider attending and raising the importance of renewing the H-2B returning worker exemption. It is also a good time to make an appointment to meet with your elected officials to meet in their district offices. Ports of Entry requires vehicles 16,000 pounds or greater to pull in their ports. Patrol and POE mobile units can now stop 10,000 pound vehicles at roadside operations for safety inspections. The bill brings uniformity to the weights as they both now will be 16,000 pounds. Below see a fact sheet prepared by Hicks & Associates, highlighting key provisions of the bill. Report from Hicks & Associates on the opening day of the 71st Colorado General Assembly, which convened Wednesday, January 11, 2017. After a short break after the seemingly never-ending election season to enjoy the holidays, the 71st Colorado General Assembly convened on Wednesday amid the usual pomp and circumstance. As is tradition, legislators old and new arrived with lots of smiling tots and other family members in tow to stand with them as they were sworn into office. Representative Crisanta Duran (D-Denver) was elected the state’s first Latina Speaker of the House. In her speech, she made note of her priority policy areas, to include transportation, education funding, and affordable housing. To that end, she also announced a construction defects bill, a bi-partisan effort that she is sponsoring with Senate President Kevin Grantham (R-Canon City) which was promptly introduced the very same day. 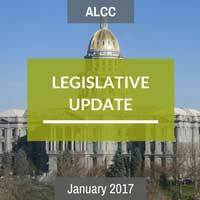 ALCC has announced the 2017 legislative priorities. Read all about it here. 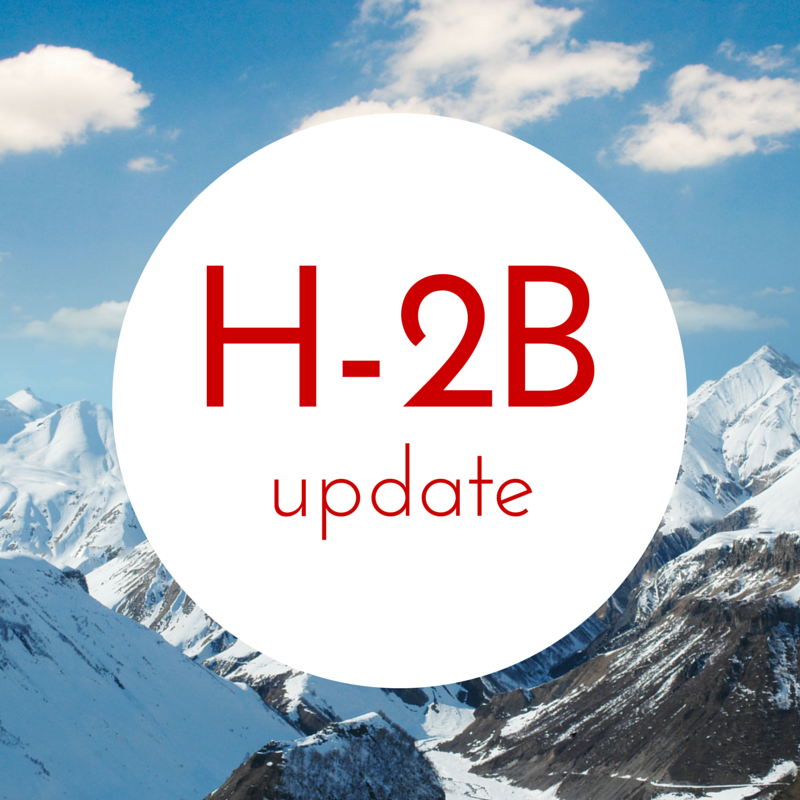 The H-2B cap for the first half of 2017 has been reached. No applications for workers requested to start before April 1, 2017 will be accepted going forward. NALP urgent action request: EPA Restrictions on Pyrethroid Use! NALP is working with multiple industry stakeholders on an urgent pesticide regulation related issue, and we need your help! Currently, the EPA is evaluating whether to further restrict pyrethroid use for professionals. As you know, inappropriate regulations can significantly impact your lives and livelihood, and we need you to voice your concerns and help the EPA better understand the important role that pyrethroids serve in your ability to provide your services and protect the public. The H-2B Workforce Coalition has issued a statement regarding the expiration of the returning worker exemption. Read the full statement, "Without the H-2B Returning Worker Exemption American Businesses and Workers will Suffer." UPDATE: The House rules committee rejected by a 4-7 vote an amendment by Rep. Andy Harris and Jared Polis (D-CO) to include an H-2B returning worker amendment in the continuing resolution after the House Appropriations Chairman suggested that this issue is controversial and needs to be addressed in the Judiciary Committee, not an appropriations bill. Reps. Polis (D-CO), Slaughter (D-NY), Hastings (D-FL) and Newhouse (R-WA) voted in favor of the amendment. Several other members support the program but suggested that the CR is not the proper bill to address the H-2B program. Update: See the signed letter . Please see the letter that Rep. Harris (R-MD) is circulating asking House leaders to include the returning worker exemption in the upcoming continuing resolution. Please urge your Representative to sign into this letter to House leadership by calling now! You can reach him or her through the Capitol switchboard at 202-225-3121. Once connected to the office, ask to speak to the person who handles the H-2B program and urge the member to sign this letter immediately. Please call, then follow up with an email to the staffer you have been working with. In order to sign the letter, staff should reach out to Tim Daniels with Rep. Andy Harris.